Oral health should start in the home but schools play an important part in the dental health of all children. In particular, where children do not receive proper guidance on good dental practices at home, the school’s role becomes even more critical. 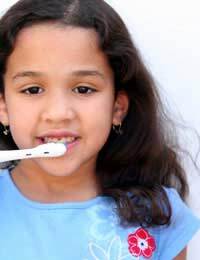 Often, where a parent does not partake in regular oral hygiene, the child will follow suit. In such cases, the responsibility of schools to contribute to the well-being of children is vital. But what exactly can schools do to promote good oral health? It is well documented that sugary drinks such as sodas can lead to tooth decay. These drinks bathe the teeth in sugar and will remain on the enamel for hours. Not only that, but they have little nutritional value and don’t contribute the vitamins and minerals that support good oral – or overall physical health. Unfortunately, many schools continue to have vending machines full of soda drinks. While parents and schools can provide education on making good food and drink choices, if the items are easily accessible on a daily basis at school, it’s difficult for children to make healthy choices. Schools should have policies in place to regulate the amount of sugary foods and drinks available to young people. While sexual education, drug and alcohol education remain a part of the curriculum for most schools, not all schools will place the same level of importance and attention on healthy lifestyle choices. Yet it is one of the most critical subjects that can make an enormous difference to young people starting out with good habits that can last them a lifetime. The importance of regular brushing and flossing should be explained to children, along with the impact tooth decay can have on overall physical health. Good nutrition and fitness habits should be part of the educational discussion as well. Strong communication with parents where a child is having problems with oral health and decay should also be included in the educational approach. Schools can also contribute to knowledge networks at the regional level by conducting regular surveys on oral health. This can be important to help everyone understand issues in oral health and awareness amongst young people as well. It gives schools and parents a starting point for making changes to oral health promotion programmes both in school and in the home. The home is a starting point for good oral health, but schools can make a difference too. Dental health is strongly connected to overall physical health as well, which is why reducing the amount of sugary snacks and drinks available can make an enormous difference to children. Providing dental information during health classes can be similarly important. While schools tend to include sexual education classes, little is often done to address overall good lifestyle choices when it comes to nutrition, fitness and oral health. The more schools can play a positive role alongside parents, the better we can all make a significant difference to oral health in children today.